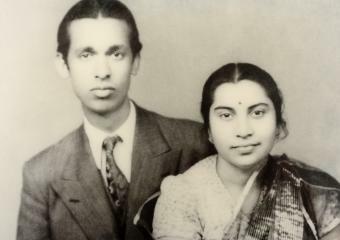 Shri Mataji Nirmala Devi was born on March 21, 1923 to a Christian family in Chindawara, India. Her parents were Prasad and Cornelia Salve, direct descendants of the royal Shalivahana dynasty. Seeing the beauty of this child who was born with a spotless brilliance, they called her Nirmala, which means ‘Immaculate’. 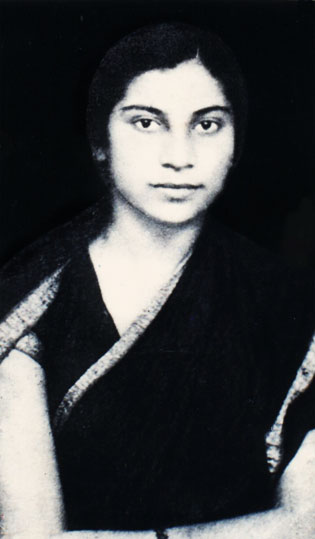 Later on she came to be known by the multitudes by the name of Shri Mataji Nirmala Devi – the revered Mother who was born with her complete Self Realization and knew from a very young age that she had a unique gift which had to be made available to all mankind. Shri Mataji was studying for Medicine in Lahore at Christian College and was the leader of the students in protest marches against the British Regime. In the 1942 “Quit India Movement” announced by Gandhi, she was even arrested and put in jail along with other freedom fighters for actively participating in this movement. She also lost her seat in the medical college owing to her patriotic ambitions. 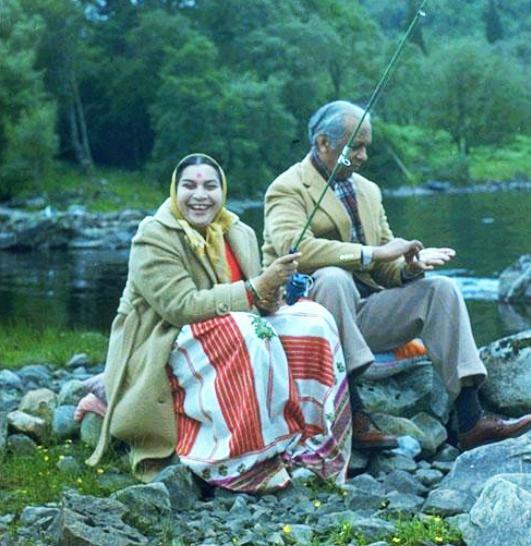 Shortly before India achieved independence she married Sir. C.P. Srivastava, one of India’s most dedicated civil servant officers, who was knighted by the Queen of England. 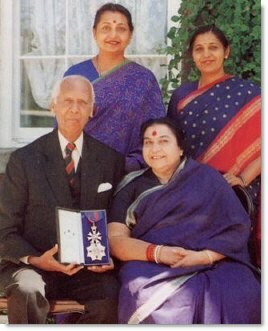 Nirmala Salva (a Christian) was engaged with CP Srivastava (a Hindu) .. the rest is History .. She became the beloved motherly guru for sahaja yogis all over the world and known as Shri Mataji .. and he became the fatherly figure in the UN’s maritime world. 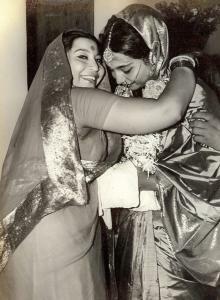 Shri Mataji’s daughters describe the extent of their mother’s travels and global duties. Amazingly, without any financial support from any person, Shri Mataji neither charges for Her lectures nor for Her ability to give Self Realisation, nor does one have to become a member of this organisation. She insists that you cannot pay for your enlightenment and to-date she continues to denounce the false, self-proclaimed “gurus” who are more interested in the seekers’ purse than their spiritual ascent. Shri Mataji has been recognized worldwide by several prestigious institutions for her selfless work and for the powerful results of her spiritual teachings. In 1994, the Mayor of Brazil’s capital welcomed Shri Mataji at the airport, presenting her with the key to the city, and sponsored all of her programs. In 1995, the Indian Government granted Shri Mataji a one hour primetime television series, broadcast nationally. During the same year, Shri Mataji was an official guest of the Chinese government and was invited to speak at the International Women’s Conference in Beijing. Also in 1995, she was awarded by the Romanian Ecological University an Honorary Doctorate in Cognitive and Parapsychological Sciences. 3. An international music school in Nagpur to promote classical music. Shri Mataji Nirmala Devi has dedicated her life to triggering the spiritual ascent of mankind through Self Realization, reclaiming the role of women in the spiritual evolution, and guiding humanity to correct today’s moral dilemmas. It seems that the light of Gandhi’s vision is being brought to fulfilment by this great lady who is revered as the compassionate Divine Mother by her followers, as the “Messenger of peace” by Ayatollah Rouhani, an Avatar of the modern era by Claes Nobel, grandnewphew of Albert Nobel (the creator of the Nobel foundation) and Chairman of United Earth. ‘Full Government Sponsorship’ which included funding for promotion and scientific research. ‘A letter of welcome and continued friendship’ was extended by the Mayor Richard Riordan. 5th Avenue to the Central Park. Four consecutive years to speak: ‘How to achieve world peace’.